Bruce Springsteen turned 63-years-young today, and your Legends of Springsteen editors were lucky enough to spend the first two hours of his birthday rocking with him. 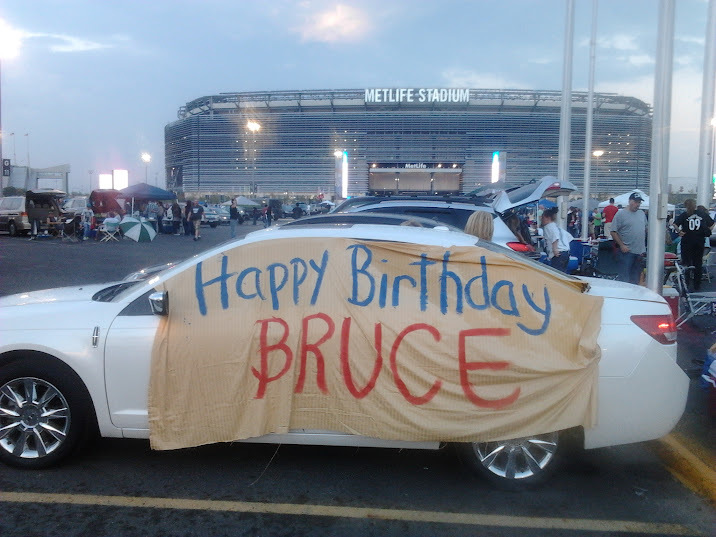 While a detailed concert review from last night is coming up shortly, we took a brief moment to stroll the parking lot of Metlife Stadium to find the best birthday tributes to the Boss. This simple-yet-effective birthday card drew the biggest attention. 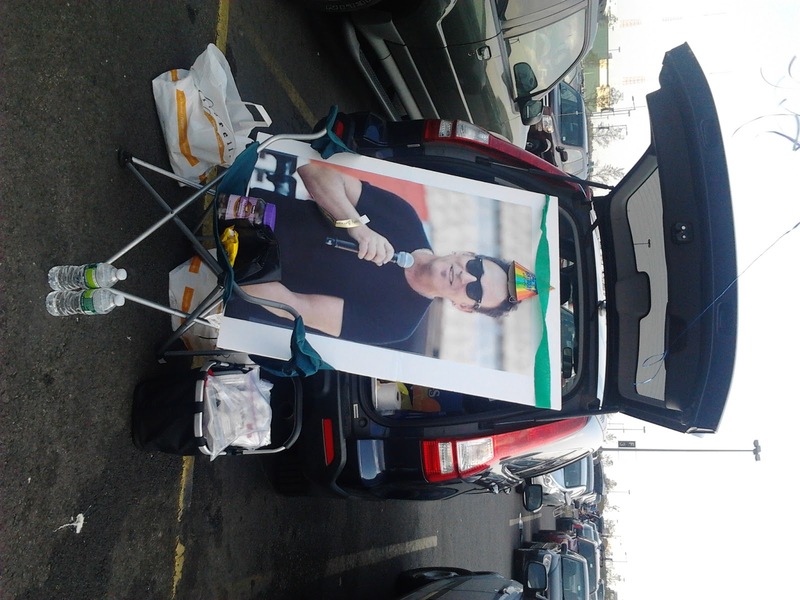 Stationed close to the main entrance, numerous people stopped to take their picture with this poster (especially the ladies, who puckered up and kissed the sign). Not too far away was this tribute to Bruce. If you haven't been to a Springsteen concert, you can't throw a stone without hitting several American flags. 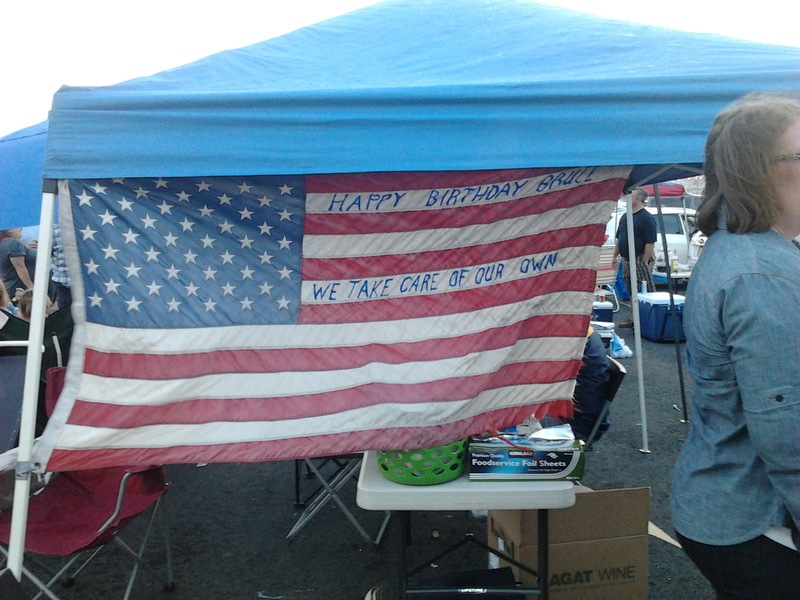 While Springsteen fans share many different political beliefs, they are all united by the underlying core value of working hard to make their country better. While it didn't blow me away with style, I was impressed by the size of this banner. When I went to the concert, I was still able to spot this enormous banner in the middle tier of the stadium. 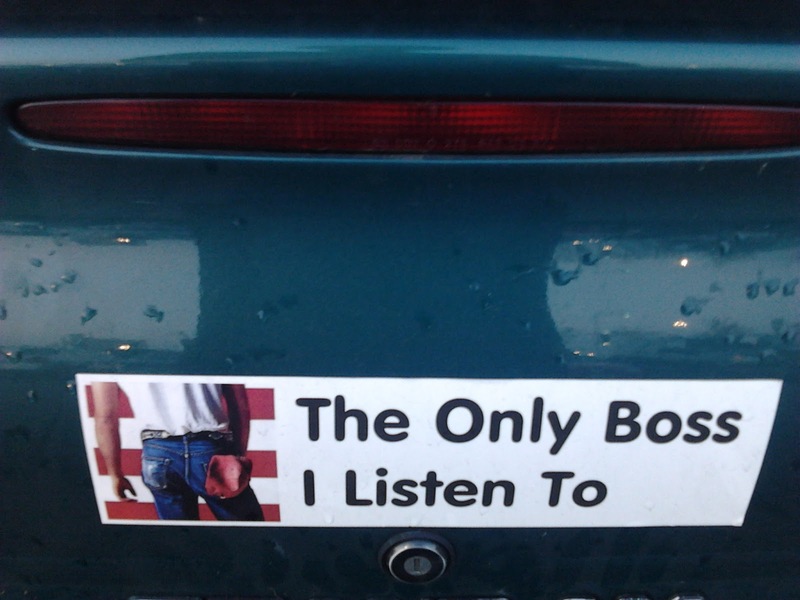 Finally, while not a birthday greeting per se, a solid bumper sticker. Although, getting into an accident with this car would put a new meaning on the phrasing "rear-ending".